If you want to see improvements on the College Board tests, you need to intervene now. 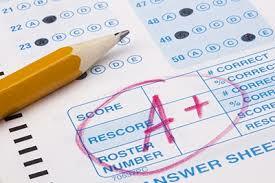 Below are tips that you can perform that will improve student test scores. Encourage students while raising the level of expectations. Positivity goes a long way. If a student believes that they can do something, they likely will. Create a growth mindset. Get students to believe that they can learn. Practice makes perfect. Well, maybe not perfect, but definitely makes for improvements. To experience larger gains, try building your own assessments. You can customize them to meet your needs. Practice specific types of questions that students will encounter. We found that question dependent analysis have everyone stumped. We will work to put some information and examples together for you. Let’s make use of all that practice test data. Dig into the numbers and analyse the student data. Uncover the areas like subject area performance, score summary report, growth analysis, question distribution analysis etc. where students appear deficient. Don’t save remediation just for student interventions. If you have analysed the data, then you know where the cracks are. It’s your opportunity to repair them. Identify the areas that need the most attention. Divide students into groups to work on shared areas of need. Find the issues and do your best to correct them now. To best achieve, students need more than to just believe in themselves. Take personal connections beyond the students. Understand their home life. Get to know their parents. Make parents and the community part of your school/centre.